China’s importance in the world has convinced millions of people to start learning Chinese. 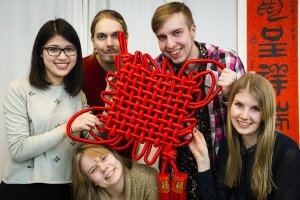 With thousands of institutions offering Chinese courses, over 500 Confucius Institutes and about 1000 Confucius classrooms around the world, the teaching of Chinese is expanding rapidly. It is, however, impossible to give an estimate of how many people are currently learning the language or of how many teachers provide them with Chinese language education. Considering the many and varied contexts where Chinese is taught, one thing is for sure about teachers: there is not one single type of Chinese teacher. This conference is interested in teachers/student teachers of Chinese as a Foreign and second Language, both ‘native’ and ‘non-native’ speakers of the language. Although very few studies and volumes have been published specifically on these teachers, we know by hearsay or experience that many of these teachers are sometimes struggling to teach Chinese because of so-called ‘cultural differences’ or because they are not well prepared and/or fully qualified. Another reason might be the retention and motivation of students or the availability of good and relevant teaching materials. Socio-economic aspects of being and becoming a teacher of Chinese.